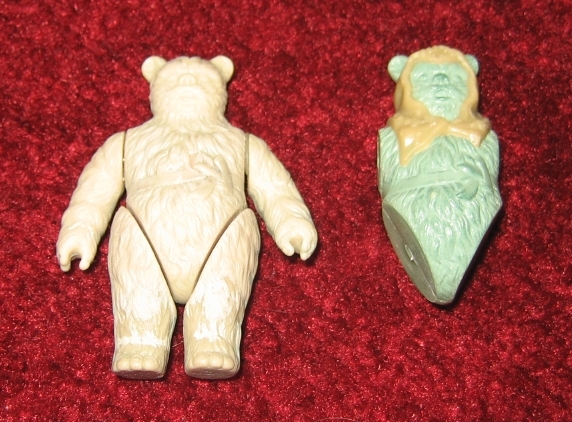 This is a wax sculpt for the Romba figure from Kenner's vintage Power of the Force action figure line. 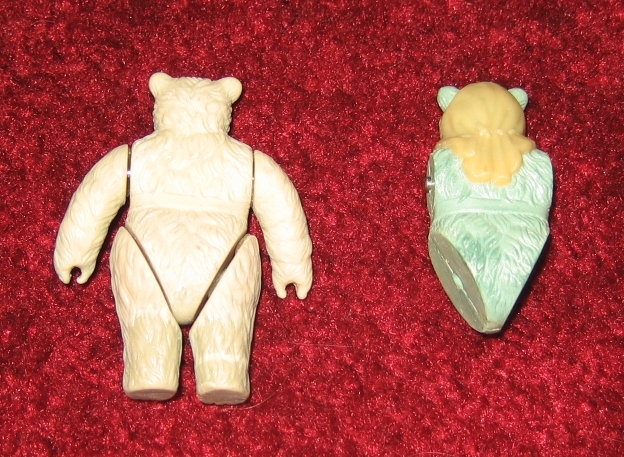 Sculpts of the ewoks are interesting in that they typically required multiple passes. First, an entire wax sculpt for the body and limbs. Then, a hardcopy is made from the wax torso to allow the cowl to be sculpted in wax on top of the hardcopy. In the third image, the Romba wax sculpt pieces are pictured with an internal first shot, a couple of different first shots, a paint master, and some plastic swatches.